Oops Fish and the Fun Stampers Journey Color Splash technique! Since I’m giving away this super cute Oops Fish and coordinating Die I decided to make some more samples to share. What giving away? You missed my blog candy post? Yes, for the last few days if you left me a comment or placed an online order you were entered into the drawing for the super cute Oops Fish and coordinating Die Bloom Benefit. No worries, the winner will be announced on Sunday, October 9. Leave me a comment and you’ll be entered once; place an Online Order with me and you’ll be entered twice. As I was looking at this little cutie fish I decided my Fun Stampers Journey Color Splash and clear block technique would be perfect for this little fish. In the video I used the Bloom Flower but it also works with any other stamp set as well. The colors I used on my fish sample was the Summer Days ink IP-0042 $7.95 on the block and then I used the Cool Pool Color Splash on top. Not much of the yellow came through the second time; but still a pretty cute card. I love to use the little wiggle eyes AC-0173 $2.95 on my fish. The background cool pool card stock was run through the Journey Platinum inside the Ink Slash embossing folder EF-0008 $4.95. The Oops fish and coordinating die are FREE Bloom Benefits. 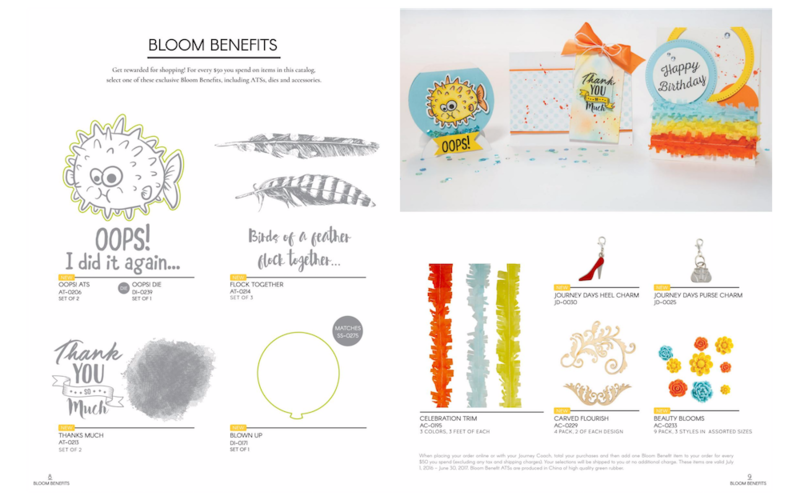 Keep in mind with every $50.00 spent you will receive a Bloom Benefit for FREE! To view the different Bloom benefits you may choose from click HERE for the annual catalog. 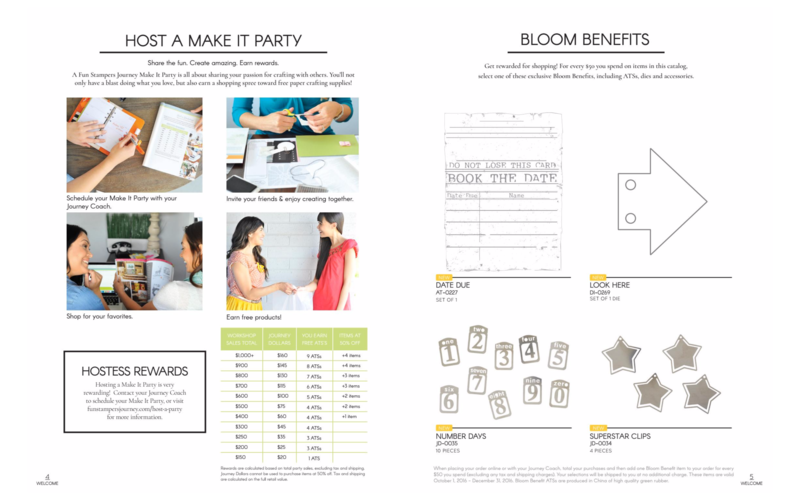 To view the different Bloom Benefits you may choose from the Be The Journey Trends Mini Catalog Click HERE. Remember if your order is over $150.00 EMAIL me your order and I’ll give you a call. I don’t want you to miss out on all your freebies! 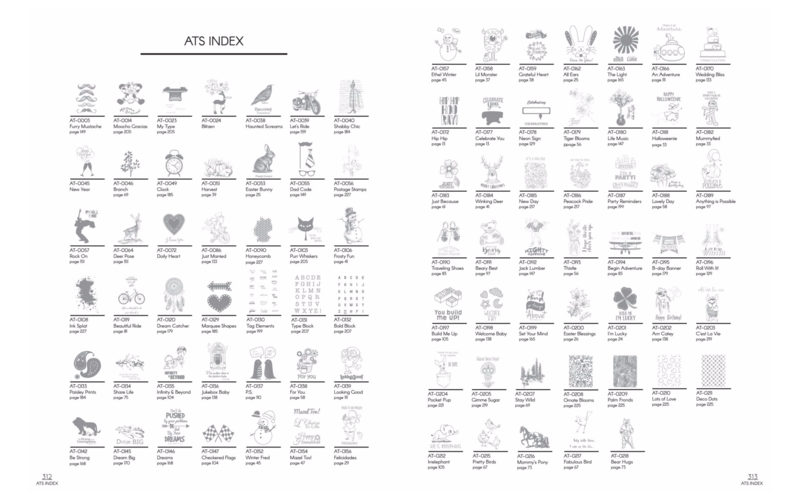 Click HERE to view the list of ATS stamps. Place a min. $30.00 order and receive the video and PDF file of instructions for this month’s featured stamp set Autumn Days Bundle. This month’s awesome project is a desk set box with 5 coordinating cards and envelopes. Click Here to view the post with the List of Products needed to complete this month’s Featured Stamp Sets cards. If you would like to purchase the PDF file and video unlock code email me and I’ll send you a PayPal invoice for $9.95. Next LIVE Event is Next Week Tuesday, October 11 at 8:00PM EST! I love this technique! Thanks for sharing it with me. I am going to try it right now. Thanks Cindy, I’m with you I love all the fun products that Fun Stampers Journey has to offer. Thanks for commenting and checking out my blog. looks like a really cool technique!! love your cards and I really like that flower stamp! Cute fish stamp! Thanks for sharing this technique.